Posted on 9th October 2018 at 9:28 am. I liked the placements and how you are left to be independent with your studies. I didn’t really enjoy A Levels and wanted a more focused hands-on course. I would like to become an A and E Nurse. What is your next step in your education? I am going to Liverpool John Moores University, which was my first choice university to study Adult Nursing. 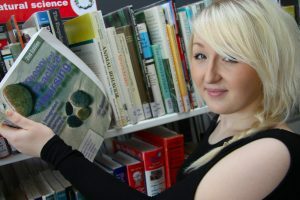 I gained lots of experience from the placements within the care settings which I wouldn’t have got with A Levels. Make sure you plan everything and keep on top of your work. It’s also a great place to gain those important skills that you need for the future.